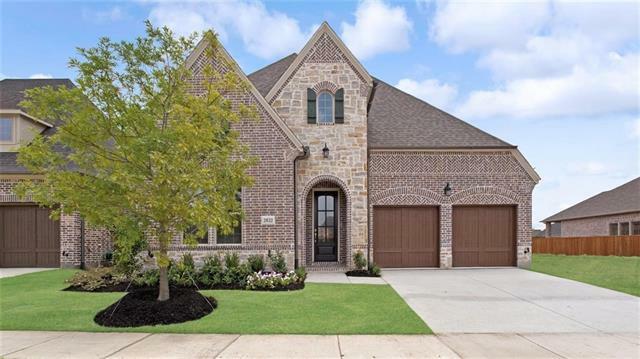 All The Tribute homes currently listed for sale in The Colony as of 04/21/2019 are shown below. You can change the search criteria at any time by pressing the 'Change Search' button below. "Brand NEW energy-efficient home ready March 2019! Inside of the Zinnia home, overnight guests will appreciate the main level guest suite. Head upstairs for a spacious game room and secondary bedrooms. Community amenities include a resort-style pool, splash park, scenic walking and biking trails, a playground and more than 600 acres of park and recreational space. 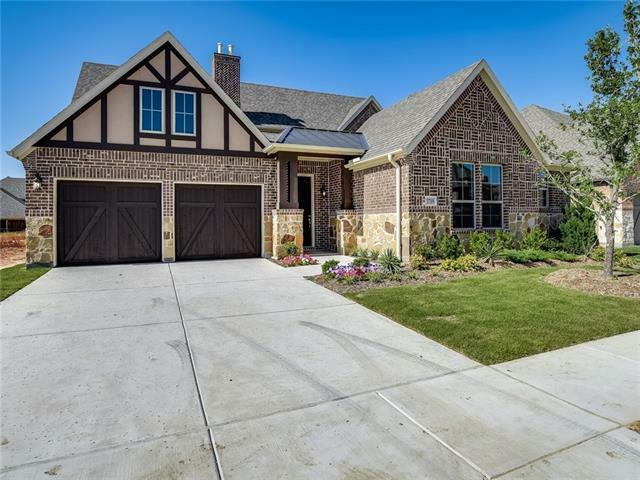 Known for their energy-efficient features, our homes help you live a healthier and quieter lifestyle while saving thousands of dollars"
"MLS# 14049233 - Built by Highland Homes - May completion! 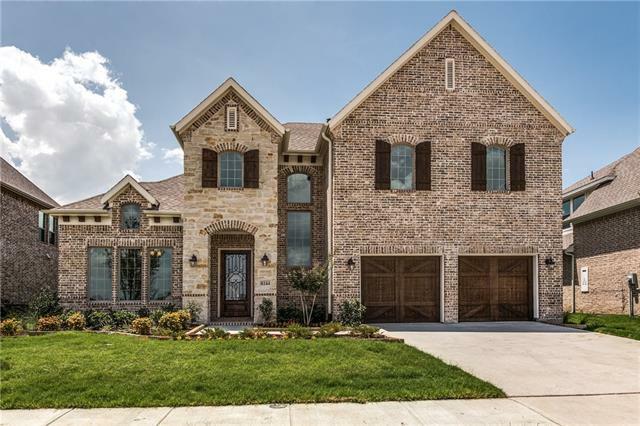 ~ GORGEOUS 2 STORY HOME WITH STONE ELEVATION 4 BEDROOMS, 3 FULL BATHS, 1 POWDER BATH, FAMILY ROOM, DINING ROOM, STUDY, PLAY ROOM AREA, GAME ROOM, MEDIA ROOM, MUD BENCH, OUTDOOR LIVING AREA AND 3 CAR TANDEM GARAGE. extended master bedroom, upgraded master bath, wood floors, soft close drawers in kitchen, double trash pullout at kitchen island, and many more upgrades." 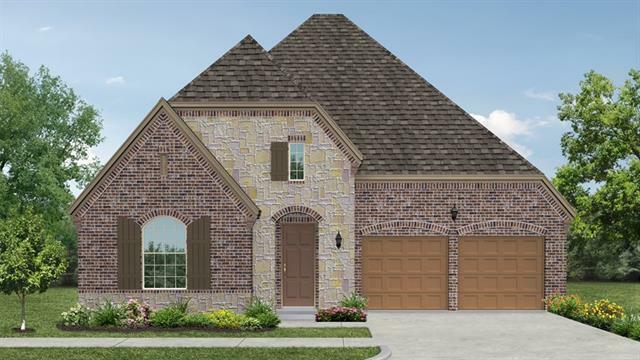 "MLS# 14054521 - Built by Highland Homes - May completion! 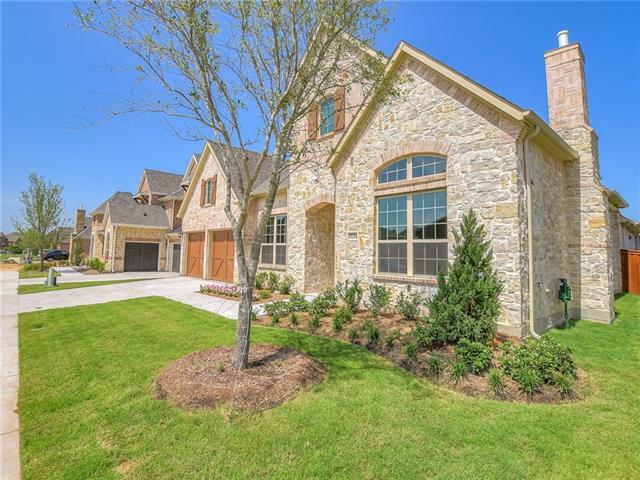 ~ GORGEOUS 2 STORY HOME WITH STONE ELEVATION, 5 BEDROOMS, 4 FULL BATHS, 1 POWDER BATH, STUDY, FORMAL DINING AREA, GAME ROOM, MASTER BEDROOM EXTENSION, OUTDOOR LIVING AREA EXTENSION AND 2 FT. ADDED TO LENGTH OF GARAGE. Front Door Upgrade, SS Apron Sink in Kitchen, wood flooring and many more upgrades"
"MLS# 14071037 - Built by Darling Homes - July completion! ~ Elongated entry leads to outdoor living space, gourmet kitchen, dining area, family room with corner fireplace, master suite with utility room access, 2 bedrooms, 1 additional full bath; Study, covered porch and patio." "MLS# 14071102 - Built by Darling Homes - May completion! 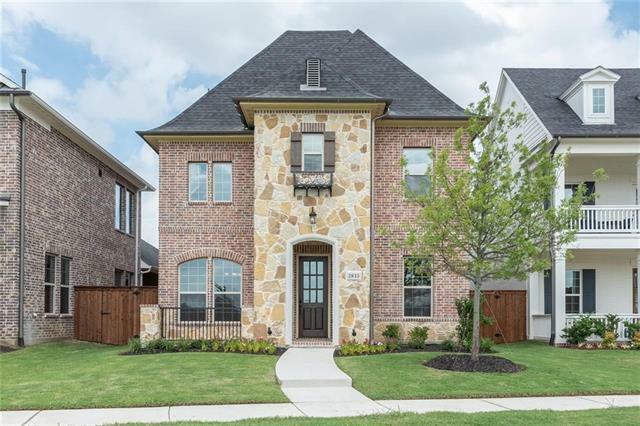 ~ Entry way leads into family room with corner fireplace, gourmet kitchen with dining area, media room, wet bar, master suite with utility room access, mud room, 3 bedrooms, 2.5 Baths, covered porch and patio"
"MLS# 14071195 - Built by Darling Homes - July completion! 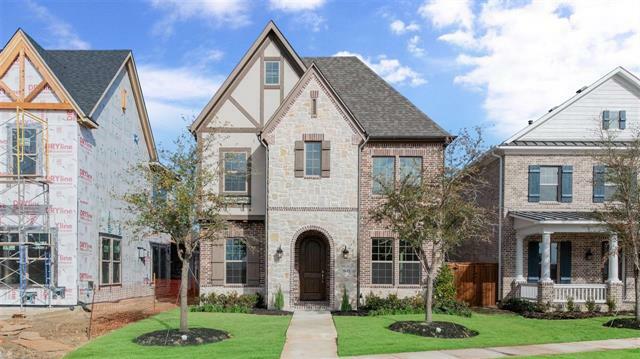 ~ 2 Story Home - Study off entry, family room open to eat-in gourmet kitchen, master suite, utility room, powder bath; upstairs game room, 3 additional bedrooms and 2 full bath; covered porch and patio." "Brand NEW energy-efficient home ready May 2019! Create a home office or playroom for the kids with versatile flex spaces throughout the Waterleaf s spacious single-story layout. A large kitchen island overlooks the bright family room with cozy fireplace. Community amenities include a resort-style pool, splash park, scenic walking and biking trails, a playground and more than 600 acres of park and recreational space. Known for their energy-efficient features, our homes help you live a healthier"
"Quaint and charming!!! Lightly lived in 7 month old American Legend Home. Warm and inviting with hardwood floors throughout most of downstairs. Large dining room with lovely shutters can easily host large family gatherings. The kitchen is perfection and boasts a 6 burner SS gas cooktop, custom cabinet details- trash drawer, pot & pan drawers and cookie sheet dividers, and large island with space for lots of barstools. Study and master conveniently located downstairs with 3 beds, game room and 2 "
"MLS# 13890693 - Built by Highland Homes - Ready Now! 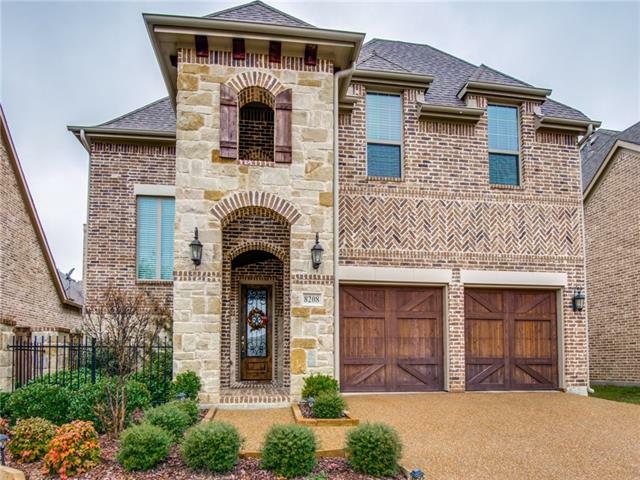 ~ GORGEOUS 2-STORY HOME WITH STONE ELEVATION AND FRONT PORCH. SHUTTERS INCLUDED ON ALL DOWNSTAIRS WINDOWS. THIS HOME HAS 4 BEDROOMS, 3 FULL BATHS, FAMILY ROOM, STUDY, DINING AREA, GAME ROOM, EXTENDED OUTDOOR LIVING AREA AND 2 CAR GARAGE. extended master bedroom, built in hutch option in dining area, soft close drawers in kitchen, pull out trays under cook top, trash pull out in kitchen island, wood floors and many more upgrades." "MLS# 13970798 - Built by Highland Homes - Ready Now! ~ THIS 2 STORY HOME BACKS TO GREEN SPACE. 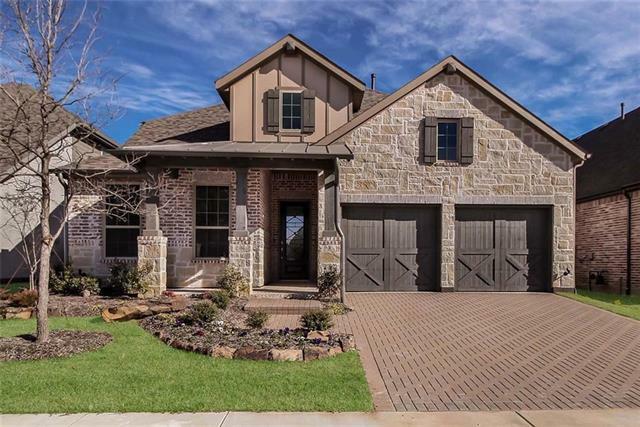 AND HAS A HILL COUNTRY FRONT PORCH WITH STONE ELEVATION. THIS HOME HAS HAS 4 BEDROOMS, 3 FULL BATHS, FAMILY ROOM, DINING AREA, STUDY, GAME ROOM, ENTERTAINMENT ROOM, OUTDOOR LIVING AREA AND 2 CAR GARAGE. 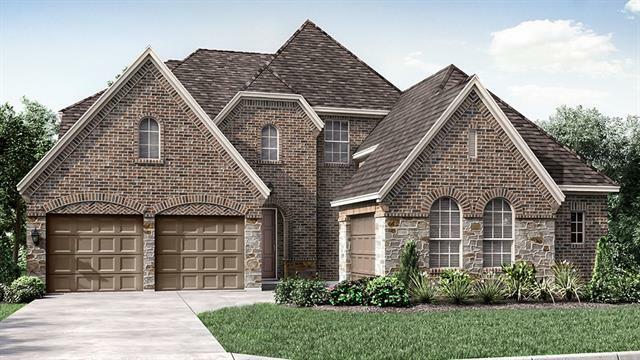 extended master suite, built in hutch option in dining area, extended outdoor living area." "MODEL HOME SALE. 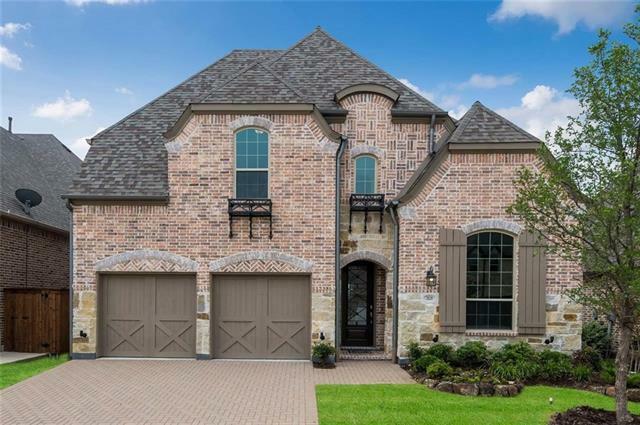 WOW A DOWNSTAIRS MEDIA ROOM, WOOD FLOORS GALORE, WOOD TREADS AND RISERS ON STAIRS, STAINLESS STEEL APPLIANCES, ALL GRANITE OR MARBLE COUNTER TOPS, WET BAR, LANDSCAPED BACK YARD, CEDAR GARAGE DOORS. A MUST TO SHOW AND SELL. CLOSEOUT SECTION FOR REFLECTION HOMES." "MLS# 13746974 - Built by Darling Homes - CONST. 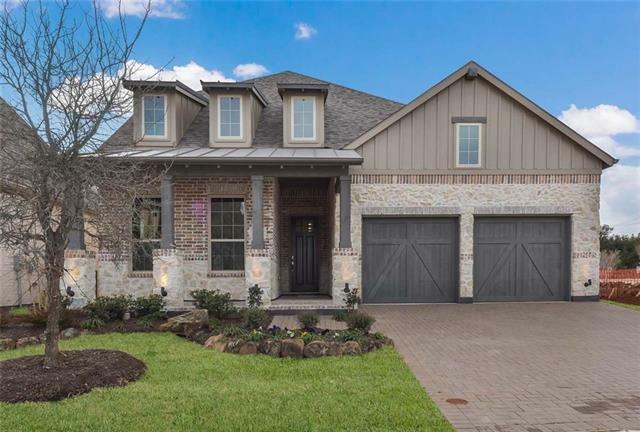 COMPLETED Jul 13 ~ Built by Darling Homes - 2 Story - 4 Bedroom 3.5 Bath - 3 Car Garage; Study, Dining Room, downstairs guest room, family room open to gourmet kitchen with island, private master suite upstairs, 2 bedrooms, 2 full bath; covered porch and covered patio." "THIS IS IT! NEVER LIVED IN! Corner lot on GREENBELT! Too many upgrades to list! Nail down hardwoods, INCLUDING master. Gray and white throughout. Marble look quartz in kitchen w gray glass tile backsplash. Built in surround for fridge. SS appliances w gas stove. Wavy, matte subway tile in secondary shower w black linen oversized floor tiles. Under mount sinks throughout. French doors at study, additional can lights added in bthrms. WIC in master w extra shelving and rods. Marble look c-tile in m"
"Reflection built beauty. Brick & stone elevation with front courtyard. Adjacent to greenbelt area. Wood flooring in entry, family, dining & kitchen. Wood staircase. Granite countertops in kitchen and all baths. Kitchen with huge island, gas cooktop, bar stool area. Private Master Suite with large walk-in closet. Much desired Tribute neighborhood. Miles of walking trails, golf, community pools and coming soon marina." "Back on the market! Inspection report no issues! Immaculately maintained home has 3 Bed + office, 2.5 baths plantation shutters throughout! Wood floors & vaulted ceilings. Kitchen w granite counters, pot filler, farmers sink & slate backsplash. Gorgeous master suite. Upstairs game room, 2 beds, bath, private balcony. New pergola w concrete extended patio, built in grill overlooking greenbelt. New upgraded ceiling fans,lighting. New berber carpet in all carpeted rooms. New paint in all bedrooms"